A major reason for the popularity of smoothies is their chameleon-like ability to be transformed into whatever you need them to be. Whether you just want a sweet treat, a workout drink, a health-boost or want to lose weight – smoothies can do it all. It’s what makes them so great, well that and the fact that they are excessively delicious. 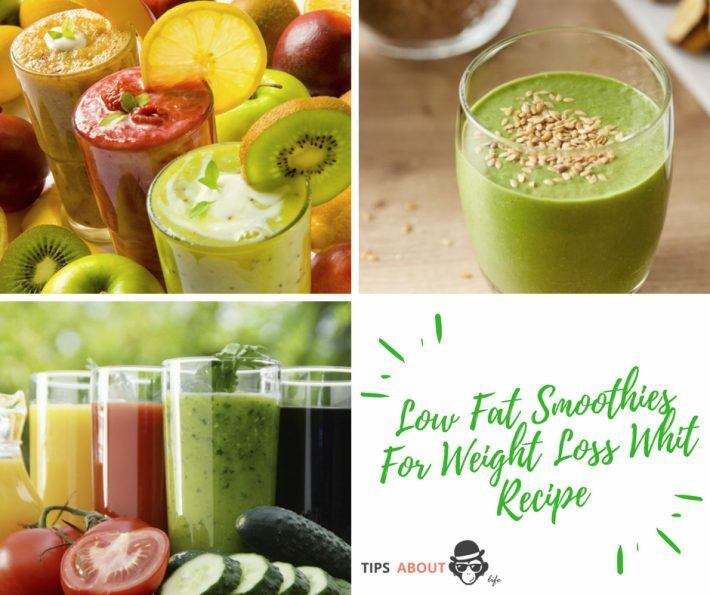 Because smoothies are so adaptable and because they are mouthwateringly yummy, it’s easy to get carried away and add ingredients that turn your smoothie into a sugar-loaded, super-sweet calorie bomb and to supersize your portion size. It doesn’t help that a voice in the back of your head is willing you on to down a bucket-sized smoothie because smoothies are ulta-healthy afterall, so portion size doesn’t count. But it does. You know it does. Healthy foods have calories too, and they count just as much as any other calorie. I say all that to say this, you need to have a clear idea why you are making a smoothie in order to control what ingredients you’re adding and how much you’re making. Make the smoothie filling by adding ingredients that thicken the smoothie. Great smoothie-thickening ingredients include chia seeds and frozen fruit. Use water, coconut water, non-dairy milk or low-fat milk as your smoothie base to make it a low-calorie smoothie. Skip the juices – they’ll increase the calorie content of the smoothie, and you’ll probably be adding fruit anyway. Carbohydrates should come from fruit or veggies. Watch your portions here, and keep to about 2 cups of fruit per serving. Add protein to make your smoothie filling, feed your muscles and to make it more of a meal. Add 1 tablespoon of healthy fats such as avocado, nut butters, and flaxseeds. Healthy fats are important for optimal health, help your body absorb nutrients, and make weight loss smoothies more satisfying. Go easy on the sweeteners. Try to use only fruit to sweeten your smoothie. But if you need a little more stick to natural sweeteners such as molasses, xylitol and honey. Increase flavour without adding calories by adding spices or fresh herbs. Add natural weight loss aids such as green tea, cinnamon and ginger. Let’s get into how to make a weight loss smoothie in detail. The first rule of smoothie making? Make your smoothie thick. When you want to lose weight you need to cut back calories. Now unless you want to feel hungry all the time, you need to make sure that though you’re eating less you still feel full. Otherwise, sooner or later you’re going to run out of willpower, and hit the nearest junk food joint for all it’s got. You might as well face the fact that you’re not going to survive any kind of diet if you’re perpetually feeling ravenous. Incredibly, you don’t have to trust me on this one. There’s been a study on it. Research published in 2012 in a journal called Flavour (I know! ), found that thick smoothies will leave you feeling fuller and more satisfied than thinner drinks that have the same number of calories. Scientists compared two yogurt-based smoothies with the same number of calories, but to one they added a thickener – tara gum. Results showed that the participants who drank the thicker smoothie felt twice as full than those who consumed the thinner smoothie. Making thick smoothies allows you to reduce the calories in your smoothie, while still feeling full and satisfied. Still, thickness is relative and everybody is going have a different opinion on what constitutes too thin or too thick a smoothie. Thus, however you like your smoothie, remember to make it as thick as you can tolerate without impinging on your smoothie bliss. This option is for you if you don’t like your smoothies thick. Chia seeds will turn gel-like when soaked in liquid, retaining about eight to nine times their weight and swelling substantially. However, it takes about 20 minutes to fully activate. This means that if your drink your smoothie immediately after making it, it will still have the same thickness/thinness, but swell up in your stomach and still leave you feeling full for hours. If you like your smoothie thick, pre-soak chia seeds for about 20 minutes in a few tablespoons of water (1 tbp chia to 2 tbs liquid). If you’re usually pressed for time when you make your smoothies, make your own chia gel and add 1 or 2 tablespoons to your smoothie when needed. TO MAKE CHIA GEL: Soak 1/3 cup of seeds in 2 cups of water in a glass jar with a tight-fitting lid (e.g., a mason jar). If you want a thinner gel add another cup of water. Cover jar and shake. After a few minutes shake again to prevent the chia seeds from clumping together. Put in sealed glass jar in fridge. Shelf life is approx 2 weeks. Chia seeds are a particularly awesome choice to add to your smoothies. Apart from the rather cool fact that it is said to have been the basic survival ration of Aztec warriors, with one tablespoon believed to sustain an individual for 24 hours, chia seeds are super healthy. Chia seeds are rich in healthy omega-3 fatty acids, protein, fiber, antioxidants, and calcium. In fact they are so high in antioxidants (higher than any whole food, including blueberries) that they don’t deteriorate easily and can be stored for long periods without turning rancid. In terms of flavor, chia is also a winner – it doesn’t really add any to the smoothie, as chia has a barely perceptible nutty flavor. Add 1 or 2 tablespoons of ground flaxseed (also known as linseed), which has a nutty flavor (stronger than chia seeds). Like chia seeds, flaxseeds are often considered a superfood. Flaxseeds are thought to possess anti-inflammatory properties and help protect against heart disease, cancer and diabetes. Flaxseed absorbs water and after about 20 minutes expands and forms a gel. So if you don’t like your smoothie thick, flaxseed is another option, as it wont expand until it’s in your stomach. The main disadvantage of flaxseed, especially compared to chia seeds, is that they tend to spoil quickly. Flaxseeds must be kept in the fridge and used fairly quickly before they become rancid. Also, to get the maximum benefit from flaxseed, you need to consume the ground. The blender is unlikely to do a good job grinding them, so you’ll either have to buy ground flaxseed (spoils quicker than whole flaxseed) or grind whole flaxseed in a coffee grinder. Try adding fiber-rich psyllium seed husks to thicken a smoothie, without adding any flavor. Like chia seeds and linseed, psyllium seed husks combine with liquid in your stomach and swell up, helping you to feel full for longer. Xanthan gum is natural carbohydrate commonly used as a food-thickening agent (e.g. in salad dressings, sauces and ice cream) and very popular in gluten-free cooking – in fact you’ll often find it in the gluten-free section in your local supermarket. It’s also used for lowering blood sugar and total cholesterol in people with diabetes (though diabetics should check with their doctors before using xanthan gum). It has no flavor and you’ll need only a tiny amount, a generous pinch or about 1/8-1/4 of a teaspoon. One tablespoon contains 30 calories, 7g of carbohydrates, 0g of fat, and 7g of fiber. Using frozen fruits is a simple way to thicken your smoothie a little. Freezing fruit (or even vegetables) will add thickness and texture, but also intensify the flavors of your smoothies, as you wont have to add any ice. Dense fruits such as bananas, mangos, papaya and avocado will thicken a smoothie. Water-based fruit such as watermelon will do the opposite. With regard to vegetables, spinach is a good option. The taste of spinach is mild, easily masked and barely perceptible in a smoothie. Spinach is also very low in calories, but will thicken the smoothie and give it a tremendous nutritional boost. If there is a downside (for some), it does turn a smoothie green. If drinking green is a turn-off, simply drink it out of a mug or other nontransparent cup. Add a tablespoon of peanut butter or other nut butter (see here for lots of different nut butters) or a few nuts such as almonds/ pecans or walnuts. You can pre-soak nuts in a little water so that they are softer and easier to blend. Unlike the previous smoothie thickening options, this does add calories. And nuts are particularly energy dense (though also high in nutrients). So you’ll only want to do this if your smoothie could do with a few more calories and/ or healthy fats. And when you do add nuts/ nut butter, do so sparingly. If a smoothie recipe you’ve been eyeing is likely to end up runny, cut down on some of the liquids (e.g. water, milk, juice). 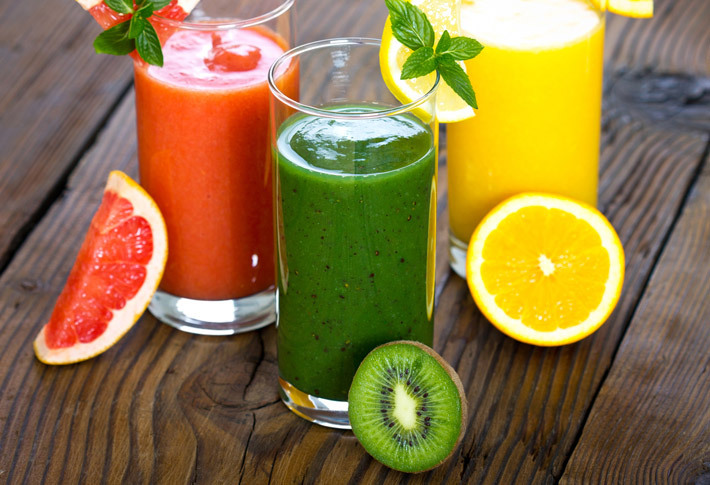 Smoothies are packed with nutrients, protein and fiber, so be sure to drink a couple of glasses of water as well. Okay, now that I’ve almost made a dissertation out of how to thicken a smoothie, lets move on to weight loss smoothie ingredients. 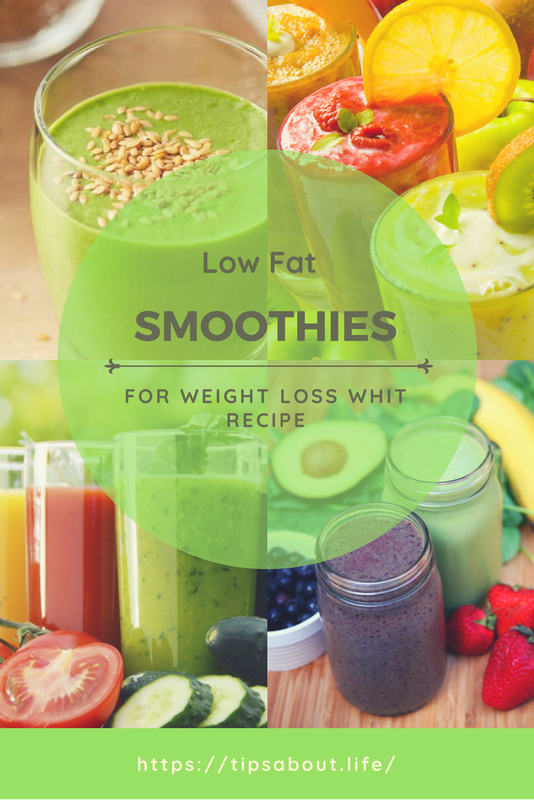 Weight loss smoothies need to be low in calories, but should ideally be high in nutrients. That allows you to cut back on calories to lose weight, but provides your body with sufficient vitamins, minerals and other micronutrients important for good health. 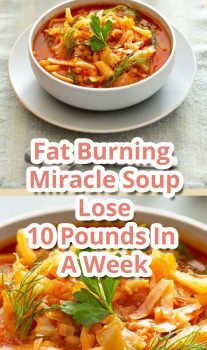 This will help the weight loss process too. If you are nutritionally deficient, you’re more likely to be tired, struggle with food cravings, feel sluggish or suffer outright ill health. Water has, of course, zero calories, and will be the lowest calorie liquid, along with tea, that you can add to your smoothie. While water has no calories, its also essentially has no nutritional value. Adding some form of milk (or coconut water) will add micronutrients and protein to your smoothie. As a rule of thumb, don’t add fruit juices to a weight loss smoothie. First of all, you’re adding whole fruit to your smoothie, so you don’t have to add fruit juice too. It’s overkill. Furthermore, in fruit juice the fiber has been removed from the fruit, leaving it high in sugar and calories. Adding green juices is fine – in fact great! Below, you’ll find a list of different liquids to add to your smoothie, along with their calorie content (serving size 1 cup). As you can see almond milk is a popular choice for smoothies, because it is low in calories, but still provides valuable nutrition. Coconut water is also popular, but tends to be harder to get hold of (unless you’re fortunate enough to live where they grow!) and is more expensive. Fruit and vegetables will make up most of the carbohydrate and fiber content, and much of the nutrients in your smoothie. 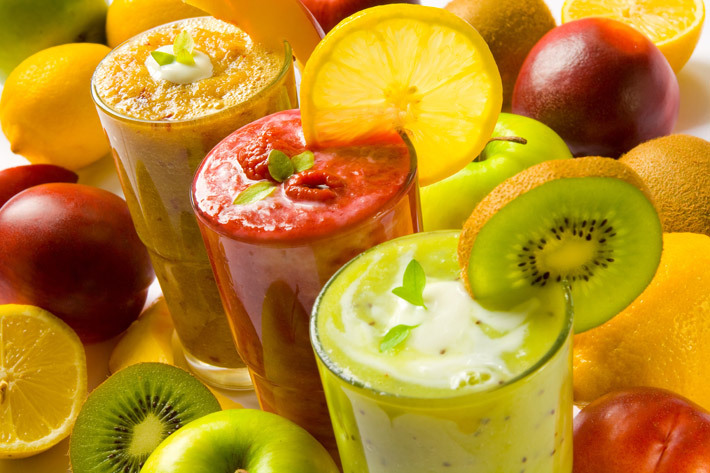 Fruit makes smoothies tasty, but tends to be higher in calories than vegetables. Just watch your portion sizes when adding fruit. Aim for no more than 2 cups of fruit per serving. If you can, try to add leafy vegetables to your smoothie. If you’ve never had a green smoothie, start by adding a ½ cup of raw baby spinach. You wont taste it! Fat really has got a bad rep. Yes, fat is high in calories, but fat in moderation has it’s place in good health and even weight loss. Fat helps your body to absorb certain vitamins and is vital for proper growth, development and general good health. Fat is also important because it provides taste to foods, smoothness to smoothies, and, significantly, helps you feel full and less hungry. Just think about, when was the last time you ate a no-fat diet-food and felt happy about it and satisfied? Likely, never. Incredibly, some healthy fats (e.g. in olive oil, avocado) can actually help you lose belly fat! Unbelievably, this is the part that makes it vital you whip up your own smoothies. Bought smoothies often contain a huge amount of added sugar, with some popular smoothies containing several times the entire recommended daily amount of sugar in one smoothie! Even “light” smoothies easily exceed the daily-recommended amount, and add artificial sweeteners on top of that to boot. Generally, use ripe fruits in your smoothies, as they give you the most bang for your buck, in terms of sweetness, making it less likely that you’ll need to sweeten your smoothie further. You can try adding spices such as cinnamon and nutmeg, and extracts such as vanilla and almond, which sweeten without adding calories. 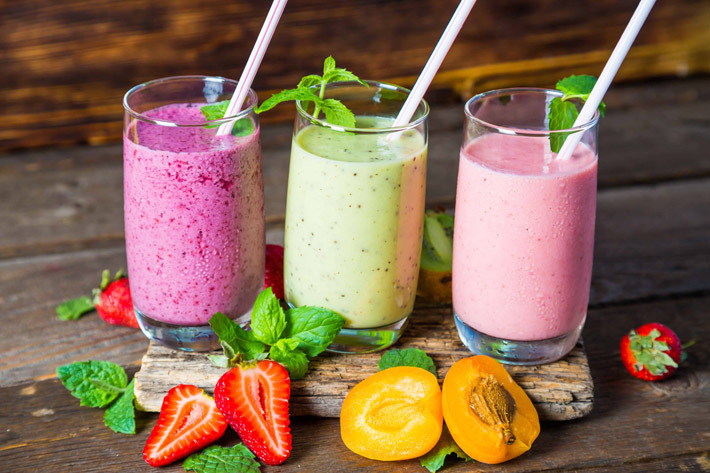 If you do need a little extra sweetness, use natural sweeteners like stevia (no calories) or xylitol (tastes almost like sugar and has health benefits) to sweeten your smoothie. You can also use honey, molasses or maple syrup, which, unlike stevia and xylitol, contain nutrients, but are higher in calories. Below, you’ll find the calorie content of 2 teaspoons of sweetener. If you haven’t added any of these ingredients already, try adding one to your smoothie to boost weight loss. Green tea. This make a great low calorie base to any smoothie and has the extra benefit of boosting metabolism. Research shows that antioxidants called catechins in green elevate metabolism, boost fat burning and reduces body weight. Extra health bonus? Green tea may also decrease (bad) LDL cholesterol. Cinnamon. This spice is a tasty way of boosting the flavor and sweetness of a smoothie without adding calories. But that’s not all. Research shows that cinnamon slows the rate at which the stomach empties after meals, which keeps blood sugar levels more steady and also leaver you feeling fuller for longer. It also has benefical effects on fat-storage hormone insulin. Dark chocolate. Research shows that dark chocolate may reduce the levels of stress hormone cortisol, a hormone that promotes fat storage, especially in the belly area. Use unsweetened cocoa power or cocoa nibs. Beans. Evidence suggests that eating beans elevates the levels of a natural appetite suppressant hormone called cholecystokinin. Beans also appear to keep blood sugar levels steady. In other words, beans help suppress appetite and stave of hunger for longer. Ginger. Ginger contains active ingredients that are structurally similar to capsaicin, a compound found in hot peppers, that increases metabolism. Ginger not only boosts metabolism, but also improves digestion. Add a tablespoon of fresh grated ginger to your smoothie for a little kick. Vinegar. Vinegar helps you feel fuller for longer by slowing the passage of food from the stomach into the small intestine. Research shows that regularly drinking 1 or 2 tablespoons of vinegar is associated with lowered body weight and a smaller waist. Adding vinegar adds a little acidic flavor to a smoothie. It’s a bit like adding a squeeze of lemon; it adds a bit of oomph. Yogurt. Yogurt can help increase weight loss, especially from around the tummy area. Research also shows that it not only increases fat loss, but also helps stave off the loss of muscle that occurs during weight loss. What are your favorite weight loss smoothie ingredients? Did we miss anything? Do you use smoothies to help you lose weight? Let us know!